"Believe I buy me a graveyard of my own," sings a voice in the crackle of a mysterious recording, "put my enemies all down into the ground." So goes a blues song that takes on a sinister life of its own in British novelist Hari Kunzru's White Tears, a ghost story wrought of cultural appropriation that is also a twisted love letter to the blues. In it, two young white hipsters in New York, trying to make it big as music producers, accidentally record a song by a random black man in a park. They scrub it clean and age the track, imitating the dirty hiss of an old 1920s vinyl, then post it online under the fake name of "Charlie Shaw's Graveyard Blues". But strange, violent things begin to occur and they soon realise they are being haunted by the spectre of Charlie Shaw, the fictional blues singer they made up. Kunzru, 47, discovered the blues when he was a teenager. He heard a 1930s record by Mississippi delta bluesman Robert Johnson, which he did not take to at first because it was scratchy and hard to listen to. "It was only much later that I began to understand this older music that is simple, compared to modern recordings that sound perfect," he says. "It has this great rhythm and these lyrics of pain, of love and loss." Blues music was created by African-Americans in the deep South of the United States towards the end of the 19th century. It has its roots in folk music and the African work songs and spirituals sung by slaves. Kunzru, who was born in Britain to a Kashmiri Pandit father and British Anglican mother, began to listen to the blues in earnest about 10 years ago, when he moved to the United States. Seven years ago, he accompanied a friend on a road trip from New York to west Texas through Mississippi, along with his then girlfriend, novelist Katie Kitamura, to whom he is now married with a son, aged four, and an 11-month-old daughter. "One day, we drove through an old cotton town," he recalls. "There was an old woman who was watching us from a rocking chair in a doorway. We hadn't seen her and she was very amused that she had startled us. It was like being haunted." Kunzru became drawn to the dark history of the area. He returned again to travel the area more systematically, retracing the routes that many white collectors would have taken after World War II to hunt down "race records" by little- known black singers. "These collectors played a central role in rescuing the music," he says, "but they also re-created it in their image and a lot of the cliches about bluesmen today have to do with their fantasies. Blues has become the soundtrack to an advert that signifies 'real America'." White Tears has been described by critics as a "revenge fantasy" and Kunzru agrees, although not being African-American, he is aware it is not his revenge to take. He decided not to write Graveyard Blues himself, instead stringing it together as a collage of lines from other blues songs. He is troubled by the way in which the genre has been whitewashed. Rock music, for instance, draws heavily on the blues - the band The Rolling Stones named themselves after a Muddy Waters blues song, Rollin' Stone - but great rockers often fail to acknowledge this artistic debt. Led Zeppelin, for instance, has been sued twice by Chicago bluesman Willie Dixon for copyright infringement. "I have no problem with a white jazz pianist in a movie," says Kunzru, referring to musical film La La Land (2016), in which Ryan Gosling's character tries to rescue jazz. "I have a problem with people claiming that work is theirs and not acknowledging the real people that made it, which is what we've done with the blues." He says it is impossible to have universal rules for when cultural appropriation is acceptable and when it is not, but adds: "A good rule is to follow the money. If there's money being made and it's going to someone other than the people who originated this cultural object, then we might want to look askance at that. "There is a difference between loving something and owning and controlling it." 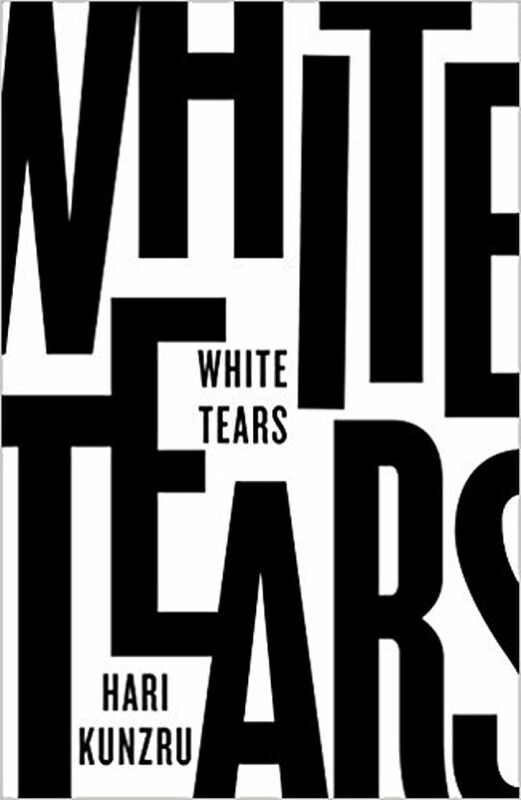 •White Tears ($29.91) is available at major bookstores.